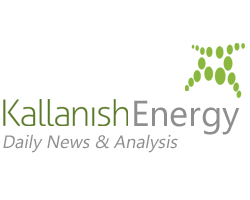 February 8, 2019 - CONSOL Energy Thursday reported fourth-quarter net income of $46.0 million and cash provided by operating activities of $83.3 million, Kallanish Energy reports. The company lost $24.64 million in Q4 2017, while adjusted EBITDA (earnings before interest, taxes, depreciation and amortization) was $115.2 million. “I am extremely proud to announce our results for the fourth quarter of 2018, as it was another strong quarter and capped off a year of many achievements,” said CEO Jimmy Brock, in a statement. The company has completed its first calendar year as an independent, publicly traded coal company. The company also reported annual production and sales volume records at its Pennsylvania Mining Complex (Pamc). It produced and sold more coal than in any other year in the Pamc’s 35-year history. The company sold 7.0 million tons of coal in Q4 2018, at an average price per ton of $49.81. That compares to 6.2 million tons at average revenue per ton of $46.36 in Q4 2017. Total coal revenue last quarter was $347.8 million, up from $288.3 million in Q4 2017. For full-year 2018, coal sales were $1.36 billion, up from $1.18 billion in 2017. That brought the Pamc’s full-year 2018 sales volume to 27.7 million tons, a record sales volume year and the third successive year of sales volume growth. The previous record was 26.1 million tons set in 2017. The growth was due to increased demand for coal and the company’s ability to ramp up production and meet domestic and international demand, Consol said. The complex, the largest underground coal mine complex in North America, ran at 97% capacity in 2018. The complex lies in Washington and Greene counties in southwest Pennsylvania, and spills over into Marshall County, West Virginia. Consol Energy said it expects to ship all the coal it can produce in 2019, as customers, including coal-fired power plants in the Appalachian Basin, seek to replenish depleted coal stockpiles. Taking advantage of the sustained demand, the company has already contracted 95% of its production in 2019, 53% in 2020 and 28% in 2021. For 2019, it expects coal sale volume to be between 26.8 million and 27.8 million tons, with average revenue per ton price between $47.70 and $49.70. The company also reported its Bailey and Harvey mines that are part of Pamc both set individual production records in 2018. Bailey’s 12.7 million tons surpassed the previous record set in 2014, and Harvey’s 5.0 million tons exceeds its previous record set in 2017. The company also set an annual revenue record in 2018 at the Consol Marine Terminal in Baltimore, Maryland. Roughly 15 million tons of coal are exported from that terminal.